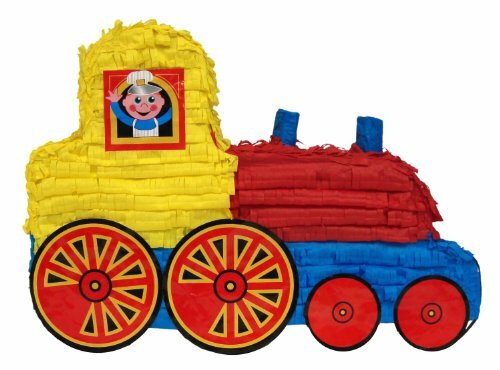 Train pinata features 2 chimneys, wheels and window with train driver. Perfect for kids birthdays on the trains party theme. Also makes a gorgeous photo prop: Large enough for small kids to “ride”.